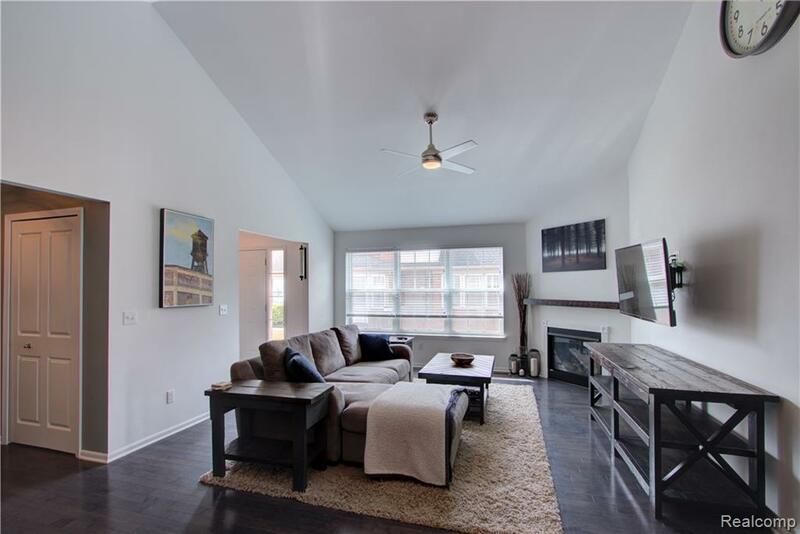 Fantastic Southgate townhome with hardwood flooring and vaulted ceilings! 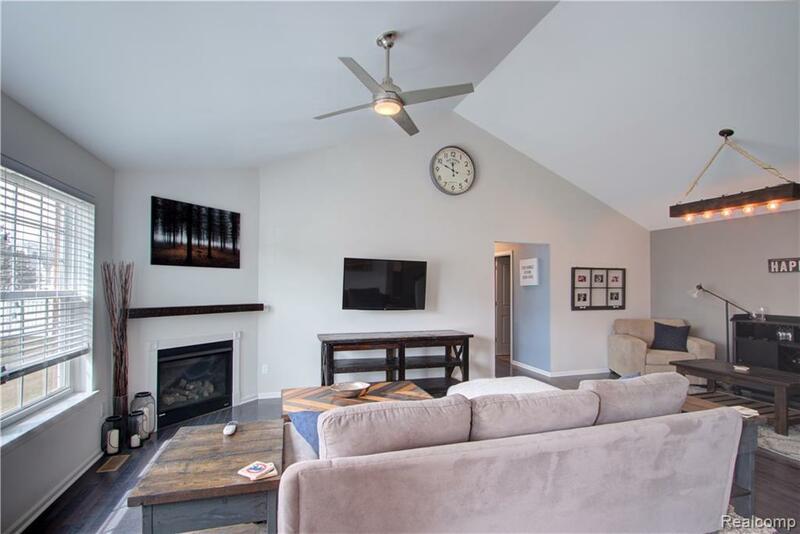 Wide open living room feels even bigger with the high vaulted ceilings and tons of natural light. 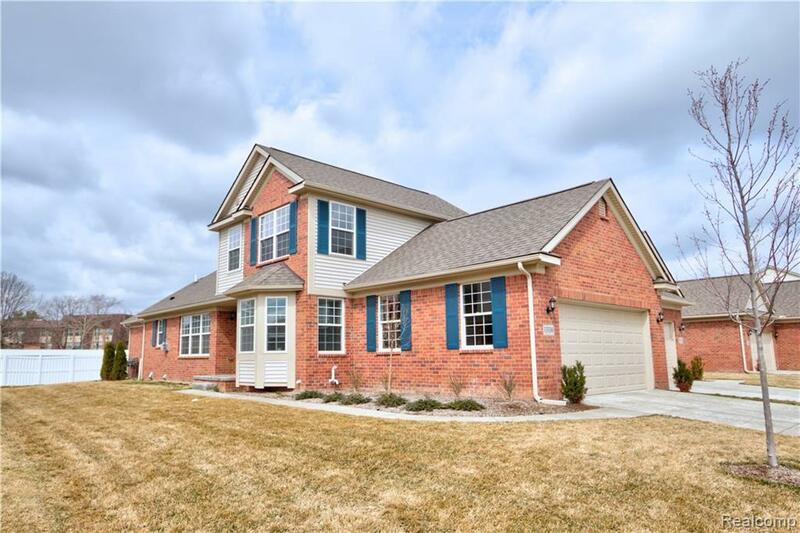 The kitchen is fitted with modern appliances, a farmhouse sink, and a beautiful breakfast nook with bay windows. The first floor master suite also includes vaulted ceilings and a connected full master bath. Across the hall is a second bedroom with a view to the backyard and half bath with a rustic wood panel backsplash. 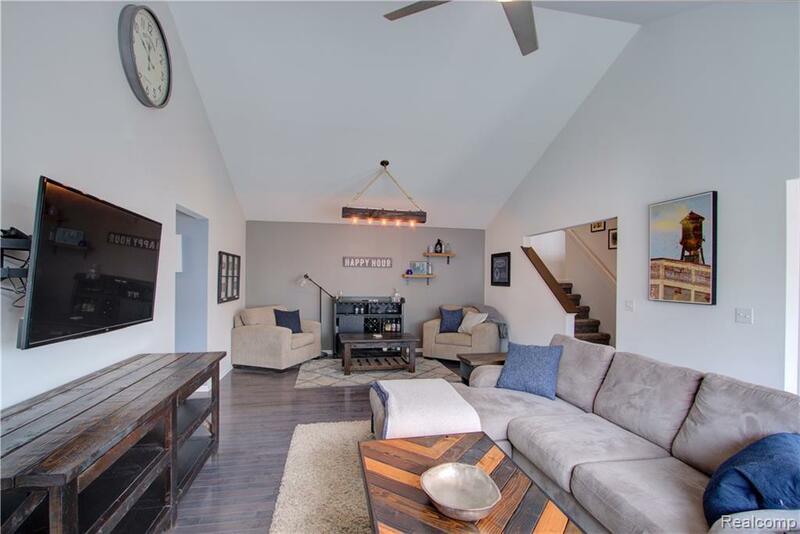 The spacious second floor loft connects to a large bedroom and a full bath. Welcome home!